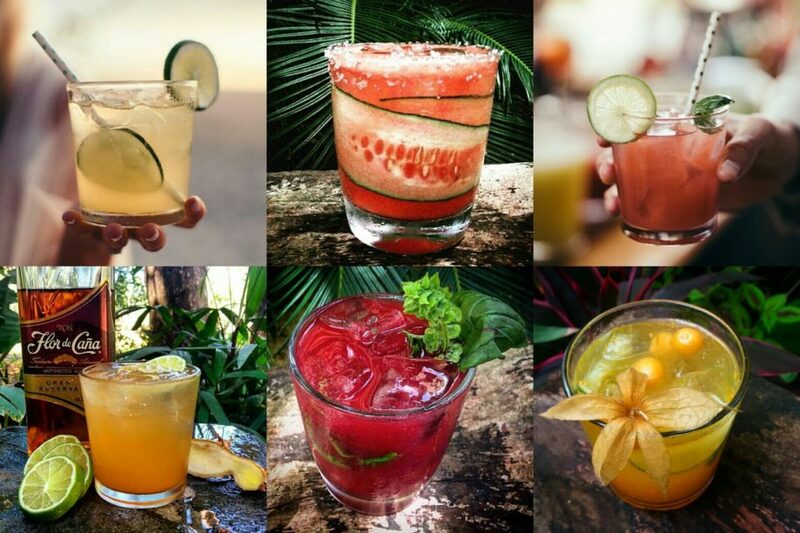 Based in the beautiful beach towns of Santa Teresa and Malpais, Drift Bar offers a variety of delicious cold pressed cocktails to enjoy any time, anywhere. All cocktails are available daily in our outdoor lounge area where we offer a great selection of Vegetarian Tapas, or enjoy your cocktail as you wander through our large art gallery displaying work by local artists. Cocktails are also available in 200ml and 1 liter bottles To-Go from our Cocktail Shop. Our concept is simple: remove all artificial ingredients from cocktails and replace with natural, fresh pressed juices. When using fresh fruits to make cocktail mixes, the need to add sugar is drastically reduced; when sugar is required we use unrefined organic sugar cane. Using a cold pressed juicer we make our own fresh juices, and infuse alcohol with locally grown organic herbs and spices. 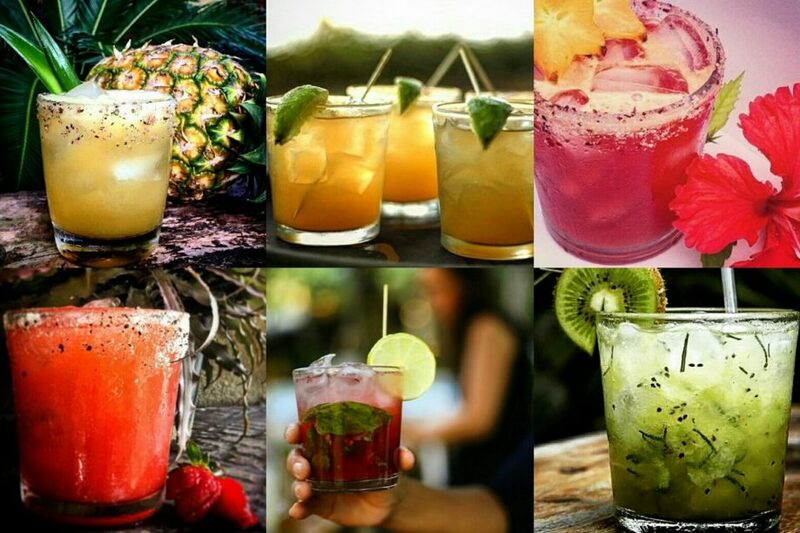 All cocktails contain a minimum of 2oz of alcohol per drink. We believe in the concept “You are what you eat”… and that the same applies to what you drink. Less sugar in your cocktails means less hangover and our cocktails have the added bonus of being both tasty and nutritious. We offer ready made cocktails in both 200ml and 1 Liter bottles: as our cocktails are made with fresh ingredients and without additives, bottles should be refrigerated and consumed within one week of purchase. We do all we can to be a waste free business. All waste from making our natural juices and vegetarian Tapas is stored in bins and composted at the end of each day. Cocktails are sold in sealed glass bottles which we ask our clients to kindly return when emptied: bottles are then thoroughly washed, sterilized and reused. As our cocktails are best enjoyed served over ice, biodegradable cups filled with ice are available at no charge. Reusable ‘Drift Cooler Bags’ filled with ice are available for purchase: any time you return to the store to purchase drinks, bring your Drift Cooler Bag with you and we will refill with ice for free.